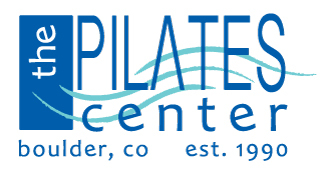 The Pilates Center Advanced Teacher Training Program is 12 (or 18) months long and requires one trip to Boulder, Colorado or a Licensed Teacher Trainer’s studio to complete their final exams. Students are encouraged to visit The Pilates Center as often as possible. Students should plan to send videos periodically to TPC throughout their program. Students should expect to dedicate a minimum of 15 hours per week to their Internship. Students will view the online lectures twice during their program. Students have the option to attend them live in Boulder while enrolled in the program for no additional cost, but it will be in addition to viewing the lectures online twice. If students are able to attend the live lectures after viewing them online, it will reinforce the information viewed online. If students attend the lectures live, these hours can be counted towards Observation and Miscellaneous. During this meeting, students will meet with their HA/LTT in person or over the phone. Students will learn how to utilize the studio to begin practice teaching and discuss program hours and progress. Full explanation in Phase 2 in the 12 month schedule and Phase 3 in the 18 month schedudle. Refer to First Advisor Meeting document. During this meeting, students will practice teach in front of their HA/LTT and discuss their program hours and progress. A beginner client is recommended during this meeting. The student should plan to bring their own client to the meeting. If the student needs assistance this needs to be requested in advance. The student will be critiqued and given feedback and assistance during teaching. Full explanation in Phase 3 in the 12 month schedule and Phase 5 in the 18 month schedule. Refer to Second Advisor Meeting document. During this meeting, students will practice teach in front of their HA/LTT and discuss their program hours and progress. A trainee or more advanced client is recommended during this meeting so that the student can teach more advanced exercises. The student needs to organize the body used in this meeting. If the student needs assistance this needs to be requested in advance. The student will be critiqued and given feedback and assistance during teaching. Full explanation in Phase 6 in the 12 month schedule and Phase 9 in the 18 month schedule. Refer to Third Advisor Meeting document. During this meeting, students will meet with their HA/LTT in person or over the phone. This appointment is scheduled a day or a week after completing the Practice Practical and Practice Performance. This appointment is scheduled a day after if the student does this in person with a LTT or TPC teacher. If the student completes the practice exams long distance through a video they will meet with their HA to discuss the feedback from TPC or LTT. The Fourth Advisor Meeting is in addition to the exam review and should be done a week later to discuss if the feedback was being incorporated into their internship hours: practice teaching, lessons, observation, and personal workouts. Full explanation in Phase 9 in the 12 month schedule and Phase 15 in the 18 month schedule. Refer to Fourth Advisor Meeting document. Students will begin to practice teach in Phase 2. Choose volunteer clients that are “healthy” and do not have recent injuries. These days almost all clients that you work with have a previous injury, as long as it is not within the last six months these clients are eligible to be volunteer clients. Always make sure they have been cleared by their doctor prior to working with them. Volunteer clients must be post-partum six months for a trainee to work with them. Please use the Volunteer Client Agreement when beginning to work with new clients during the program. Teach one client for a week or two before adding more clients to your schedule. Interview prospective clients to get those that will be committed two to three times per week. When working with volunteer clients, remember that they are your guinea pig. Sometimes volunteer clients will come to trainees with an agenda. A student’s agenda may be teaching that client the same exercises for a half an hour to get their words out, remember the choreography, etc. Take clear but simple “SOAP” notes in the client’s file, please refer to the SOAP Notes document. If students are nervous about beginning this process start by attending a teaching skills class (available at TPC), teaching another trainee, a friend, or relative. Long Distance Trainees: Will need to find a studio and/or their own equipment where they can practice teach their volunteer clients. Students may have to pay additional fees to use equipment outside of TPC. The student should check with the local studio regarding Studio Protocol for teaching on the equipment. It is encouraged for long distance students to visit TPC during Host Advisor and Licensed Teacher Training Meetings to volunteer to practice teach for additional feedback for no additional cost. Observation begins immediately. Prior to observing students should read the Observation Guidelines (How to Observe) document. This is a great way to begin observations. Start with the basic information; for example: names of equipment, exercises, order, set up for exercises and safety. Students should begin by observing a mixture of privates, beginner classes, and one advanced class each week. Slowly progressing to more advanced classes as the student begins to find a focus for their observation. Observing beginner clients will help the trainee to understand how to begin practice teaching. (This may not be available to long distance students depending on their local studio.) Once a student becomes more comfortable with observing, refer to the Practice Teaching Critique 1 and 2 documents to further look for a deeper understanding of the Pilates exercises. What are considered as Personal Workouts? A balance of classes and privates will enhance your uniform development. Understand that the goal of each teacher is based in the foundation of “Return to Life”, although the language used for cues, images, and the modifications given for exercises may vary. When in doubt re-read “Return to Life” and see how the lessons enhance your own awareness related to the goals of Pilates or review the online lectures. Refer to the current class schedule. Take regular classes to experience this type of teaching with flow and take trainee classes to delve deeper in the teacher training questions. It is encouraged for students to film or vocal record private lessons. Students can vocally record classes as well. These are an additional cost to the student and not included in the program. Please also keep in mind that although we require 1000 hours of lessons to complete the program you may want to, and we encourage you, to take more lessons budget permitting. Local students: At TPC, there are 8 – 10 teachers that have been working in a teacher training facility for at least 2 years, and teachers with 20 plus years’ experience. It is encouraged to take lessons (classes and privates) with different teachers to find a teacher that resonates with a student. TPC offers Movement Skills classes that are created for trainees to better learn skills needed to complete the exercises. These classes are a great way to collaborate with your fellow trainees and ask questions with the experience teachers at TPC. * The trainee receives two free late cancels. Thereafter, the trainee is charged full-price for all classes or privates for that day that aren’t cancelled within 24 hours. Any class on Monday must be cancelled within 24 hours. There are two options to cancel for Monday: Call the front desk by Saturday or use Mind Body On-line to cancel within 24 hours. What is considered as Miscellaneous? Students will complete one Case Study during their program. The Case Study is a client that has not completed any or has very little Pilates experience. Students will need to plan to meet with their Case Study client twice a week for 40 sessions. During these sessions, students will introduce the exercises as shown on the Lecture Curriculum. Students will practice creating a lesson plan for each session, introducing different pieces of equipment, and using the optional exercises to help assist the client progress through the Reformer and Mat repertoire. The Students will turn in a total of five Case Study Reports in iTPC. The fifth report is part of the Third Written Exam. When completing the assignment in iTPC, students will need to attach each Case Study Report. Upon completion of each Case Study Report assignment, the student should contact their Host Advisor/LTT that they have completed this assignment. Refer to the Case Study Protocol when beginning the Case Study. Local students: At TPC, the Case Study client does not pay fees to TPC to use the facility. This is to ensure that the client will continue to work with the trainee for the required 40 hours. Long distance students: Will need to discuss the possibility of a case study client being free with their local studio. This may not be the case. Students can use their own equipment if they own it. If a student does not have all pieces of equipment it is fine but should consider when writing reports whether or not it would be beneficial to have the missing piece of equipment would assist in the client’s progress. Only one case study who has not previously done much Pilates, but is strong and healthy; their lessons are free at TPC only while participating as a case study. This is to ensure that the client will commit to twice a week with the trainee. *If a case study client does not complete all 40 hours then the student will need to find a new case study client. This does not mean they must start over but will continue their required hours working with the new client writing reports. Four case study reports are required to be turned in to receive feedback with a final report due with the third written exam. Observed Teaching’s referred to as OT’s begin after students have completed their Third Advisor Meeting, which begins in Phase 7. These appointments can be taken with any TPC teacher in Boulder. The student should challenge themselves by completing some or all of these with examiners. Students can come to these appointments with an agenda; i.e. teaching flow, bringing a client they have questions about (clients do not pay a fee when being a “body” for OT’s), teaching a certain level, etc. Refer to the Observed Teaching Student Guidelines document for guidance. These were added into the program so that students would be used to being critiqued by different teachers prior to practice and final Practicals. It is encouraged to film all Observed Teachings. Long distance students: usually will be working with a Host Advisor (HA) or Licensed Teacher Trainer (LTT). Students can only complete five OT’s with a HA. Students working with a HA will complete the first OT with HA, then alternate each OT with TPC. The final OT will completed prior to the final exams in Boulder. The video footage of the OT’s will be sent by DVD to TPC (attention Pace Wilson) or through YouTube to the Director of Education, kelli@thepilatescenter.com. If a student is working with a local LTT, they can complete all 10 OT’s with that LTT. However, it is encouraged for trainees to complete the required OT’s with different teachers to receive a variety of feedback. Long distance students can request different teachers when sending footage to TPC. What is considered as Observed Teaching? Long distance students can complete five OT’s with a Host Advisor, the student will need to send video footage of themselves completing 5 OT’s to TPC or with a LTT. Students will alternate with HA and TPC staff/LTT during the program. Local students: have the option to attend a Teaching Clinic, which is available on Thursday’s in between the Weekend I & II, and Weekend III & IV of the Live Lectures. These clinics are a great way to practice different teaching skills in a workshop setting for two hours. If students are unable to make the clinics, the student can attend Teaching Skills Classes (1 hour) and these can count towards the required hours. What is considered as Teaching Clinics/Skills? The Pilates Center Advanced Teacher Training Program examination process ensures that each Trainee graduates with the extensive knowledge necessary to be an exemplary Pilates teacher. There are two objective exams, a Performance Evaluation in the first six months and five final exams – a final written essay exam, two practical teaching exams and two performance exams. During all performance and practical exams the examiners will ask why you are making specific choices and discuss (with you) what you are thinking. TPC’s primary mission in the Advanced Teacher Training Program is to produce the finest Pilates teachers in the world. To that end, the exam process is both challenging and stimulating, and yet sometimes even confronting as well. Know that the examiners have high standards; but at the same time, they are also profoundly committed to making sure you have achieved proficiency, and beyond that, to helping you reach even higher goals through the testing experience. take every opportunity to watch others’ exams. consider being a â€˜body’ for other trainees’ exams. practice teach in front of the examiners and your teachers as much as possible prior to your final practical exams. A multiple choice exam that covers basic data supplied in the lectures and Return to Life such as: the history of Mr. Pilates and his studio, philosophy of Contrology, names of exercises, order and number of repetitions of any given level of Reformer or Mat exercises, etc. This exam is taken in Phase 5 in the 12 month schedule and Phase 7 in the 18 month schedule. Upon completion of the exam, students will find out the grade immediately. To study for the exam refer to Written Exam 1 Study Guide, Level Card Reformer IV – V, and Exercises – Mat (all levels). This is a milestone in which to assess readiness for the Practice Performance. Trainees must perform a Level IV workout on Mat or Reformer and demonstrate proficiency in equipment usage and safety, transitions and choreography. Proficiency must also be shown by obvious control over breath and core abdominals. 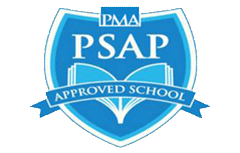 This exam is taken in Phase 6 in the 12 month schedule and Phase 10 in the 18 month schedule with one Licensed Teacher Trainer. Local students: complete this exam in person with a LTT. Students should be prepared to perform either Reformer or Mat (depending on equipment availability). Students completing exams locally need to email Kelli Burkhalter Hutchins: kelli@thepilatescenter.com two months in advance to schedule exams to ensure availability in the schedule. Long distance students: will have a choice to either send TPC a video, Skype the exam, complete the exam at TPC, or complete the exam with a local LTT. If the trainee chooses to film themselves completing a Level IV performance on either the Mat or Reformer. It is suggested to choose the equipment that the student feels they need the most feedback. The footage will be sent to TPC with a DVD (attention Pace Wilson) or through YouTube or Dropbox to the Director of Education, kelli@thepilatescenter.com. The footage will be viewed and feedback will be written TPC will send the feedback to the HA and the HA will schedule an appointment with the student to go over the feedback. Please allow up to two weeks to receive feedback. If a long distance student is working with a local LTT, they can complete this exam in person with the local LTT and will receive feedback immediately. Any student can travel to TPC to complete this exam. LTT will use the Performance Critique 2 during this exam, students will need to complete an assignment in iTPC after receiving feedback. Refer to Advanced Performance Evaluation (six month performance exam) document for exercises. *It is advised that students complete this at the beginning of Phase 6 so that the student has enough time to receive feedback and will not get stopped in iTPC. A multiple choice exam that covers basic anatomy information covered in the lectures as well as The Anatomy Coloring Book, Taking Root to Fly, and The Anatomy of Movement such as: the names of major bones and muscles, the primary purpose of certain key muscles, major muscles used in a given Pilates exercise, etc. This exam is taken in Phase 7 in the 12 month schedule and Phase 10 in the 18 month schedule. Upon completion of the exam, students will find out the grade immediately. Refer to the Written Exam 2 Study Guide, Diagram 1, Diagram, 2, and Diagram 3 documents. This is an exam of the advanced (Level V) Pilates repertoire. It may be primarily Reformer or Mat with additional exercises on other optional equipment. The scheduling of this exam insures you additional time before your Final Performance exam to work on weak areas. This exam is taken in Phase 9 in the 12 month schedule and Phase 15 in the 18 month schedule with one Licensed Teacher Trainer. Long distance students: will have a choice to either send TPC a video, Skype the exam, complete the exam at TPC, or complete the exam with a local LTT. If the trainee chooses to will film themselves completing a Level V performance on either the Mat or Reformer. It is suggested to choose the equipment that the student feels they need the most feedback. The footage will be sent to TPC with a DVD (attention Pace Wilson) or through YouTube to the Director of Education, kelli@thepilatescenter.com. The footage will be viewed and feedback will be written. TPC will send the feedback to the HA and the HA will schedule an appointment with the student to go over the feedback. Please allow up to two weeks to receive feedback. If a long distance student is working with a local LTT, they can complete this exam in person with the local LTT and will receive feedback immediately. Any student can travel to TPC to complete this exam. LTT will use the Performance Critique 3 during this exam, students will need to complete an assignment in iTPC after receiving feedback. Refer to Advanced and Bridge Practice and Final Exams document for exercises. *It is advised that students complete this at the beginning of Phase 9 so that the student has enough time to receive feedback and will not get stopped in iTPC. This exam is a two hour session in which you teach a volunteer client who is well versed in Pilates (an intermediate/advanced (Level IV – V) student or Trainee). This exam is scheduled three months before your anticipated graduation date to assure us that you are on the right track, that there are no “holes” in your understanding or skills (levels I-V) and to give you the chance to get over any stage fright. This exam is taken in Phase 9 in the 12 month schedule and Phase 15 in the 18 month schedule. Long distance students: will have a choice to either send TPC a video, Skype the exam, complete the exam at TPC, or complete the exam with a local LTT. If the trainee chooses to film themselves teaching a Level V Mat or Reformer. It is suggested to choose the equipment that the student feels they need the most feedback. The footage will be sent to TPC with a DVD (attention Pace Wilson) or through YouTube or Drobox to the Director of Education, kelli@thepilatescenter.com. The footage will be viewed and feedback will be written. TPC will send the feedback to the HA and the HA will schedule an appointment with the student to go over the feedback. Please allow up to two weeks to receive feedback. If a long distance student is working with a local LTT, they can complete this exam in person with the local LTT and will receive feedback immediately. Ideally there are two LTT’s or a LTT and HA sitting in on the exam. Any student can travel to TPC to complete this exam. LTT will use the Practice Critique 2 during this exam, students will need to complete an assignment in iTPC after receiving feedback. Refer to Advanced and Bridge Practice and Final Exams document for exercises. This essay exam is purposefully worded to show what you know and how you think. The questions range from history through theory and often combine multiple aspects of your training. The exam must be typed and attached to iTPC, refer to Essay Writing document. A Licensed Teacher Trainer at TPC or local to the long distance trainee will grade this exam. Please allow up to two weeks to receive feedback. In addition, you submit your final Case Study summation at this time. This exam is taken in Phase 10 in the 12 month schedule and Phase 16 in the 18 month schedule and will take up to 6 hours to complete. Refer to the Written Exam 3 Study Guide document. In this exam you will perform the advanced (Level V) Pilates repertoire. Students will perform the opposite of what they completed at the Practice Performance (depending on equipment availability) unless told differently by the LTT at the completion of the practice exam. This exam is taken in Phase 12 in the 12 month schedule and Phase 18 in the 18 month schedule with two Licensed Teacher Trainers. This teaching exam allows us to consolidate all previous exam information so we can guide you through any lingering questions. The exam will be done on the Mat or Reformer teaching the advanced work. It is a two hour exam similar to the Practice Practical and assures us that you know every exercise on every piece of Pilates equipment, are able to modify as necessary for your client, and can teach using all the skills outlined in the Critique and How to Observe forms. Choose a volunteer client who is well versed in Pilates (an advanced (Level IV – V) Trainee that can complete all Level V exercises). Students will teach the opposite of what they completed at the Practice Practical (depending on equipment availability) unless told differently by the LTT at the completion of the practice exam. This exam is taken in Phase 12 in the 12 month schedule and Phase 18 in the 18 month schedule with two Licensed Teacher Trainers.